We are developing our woodland according to recognised standards in sustainable forestry. It is not easy. We have been learning along the way and we continue to learn with every project we undertake. There are various sources of advice and funding, not all appropriate and not all of the same quality. This page summarises some of our principles and how our work is monitored and how our plans are developed, and some aspects of the learning process we are involved with. We are happy to share our experiences and to give individual guidance to other woodland owners where it might be helpful. We hope you find this page useful and welcome feedback. The Forestry Commission is the government body empowered to protect valuable woodland sites such as ours. It provides support for sites such as ours, where we are seeking to manage and improve an existing woodland for wildlife and local communities, as well as for woodland creation projects that are establishing new areas of woodland in many parts of the country. The Forestry Commission provides invaluable advice and also grant support to further these aims. As part of our work with the Forestry Commission, we have agreed a Woodland Management Plan. The strategy and objectives from this plan are available for you to see here (pdf). This plan guides us and sets out our long term strategy. It is not meant to be static but can evolve as management requirements and habitats change over the longer term. We are grateful to receive ongoing Forestry Commission grant support under the English Woodland Grant Scheme, a government initiative to improve the wildlife and cultural management of woodlands as well as creation of new woodlands throughout the country, for increased benefit to the public. Our management work follows the UK Forestry Standard, which is the principle guide to the practice of sustainable forestry in this country. The Forestry Commission will only fund a fraction of the work that we do as some aspects are not relevant to woodlands specifically and therefore come outside their remit (e.g. the creation of new wildlife ponds and the planting of new wildflower meadows). The grant support is still very welcome, as we have learnt that woodland management is not cheap! 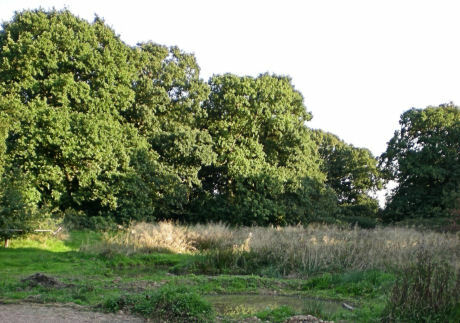 Alvecote Wood is designated as Ancient Semi-Natural Woodland ("ASNW") and has legal protection from a Tree Preservation Order. This TPO has sometimes slowed us down as we have had to go through more paperwork in order to make various imprvements to the site, but it is largely because of that TPO that the site was not exploited years ago by commercial property developers. Hence, the TPO has done its job by preserving the value of the woodland. The Forestry Commission encouraged us to apply for a Felling Licence, not because they (or we) want to fell all the trees! Far from it! It is a common misunderstanding that woodlands will be fine if they are left alone - they won't be! Woodlands need to be managed if they are to maintain, let alone improve, in terms of biodiversity and wildlife value. We need a felling licence in order to perform thinning operations and other genuine woodland management tasks over the long term. Even that only gives us permission for certain types of work. Although we have applied for and been granted Planning Permission by the local authority on numerous occasions, the statutory oversight is primarily provided by the Forestry Commission. Our agreed Woodland Management Plan actually has more legal authority than the Tree Preservation Order, while it is agreed and active with the Forestry Commission. We have an appointed Woodland Officer who visits the site regularly to check on progress, to ensure that grant-aided work is performed to the correct standard, and also to offer advice. This latter aspect has been really helpful to us as woodland management is a complicated and evolving subject. We are also indebted to the Warwickshire Wildlife Trust who have visited the site on several occasions, performing detailed wildlife surveys and been active in discussing our plans and ideas. They have also given us excellent advice and this combination of experts has helped us to achieve significant improvements to the site in a relatively short time. The Warwickshire Wildlife Trust has designated Alvecote Wood a Local Wildlife Site ("LWS") and a Site of Importance for Nature Conservation ("SINC") since being involved with us in the care of this special place. There is a lot to learn if you are to care for an ancient woodland. We have certainly been on a big learning curve, despite our long term involvement in wildlife conservation. We have made some mistakes; we have thought we had better ideas, and we have found that the professionals often really do know best! Managing a woodland like ours can be complicated and sometimes daunting, and there is a huge volume of bureaucracy and advice (not all of it good!) and invariably too little time to go through it. Some government agencies and publications assume familiarity with certain terms and policies and it can take a long time to understand where you fit in, what you are supposed to do and what you are not supposed to do. We have also found that some aspects of woodland management itself are not easy. One of the best examples is trying to convert established grassland into wildflower meadows - this is a difficult thing to do! There are several steps and significant benefits from using the right equipment along the way, and if you don't do any one of those steps rigorously, you can end up reducing habitat value rather than increasing it! We plant to expand this part of the web site to give more advice and support to other woodland owners, in an effort to help achieve the desired outcome more efficiently and often with less cost. If you are a beginning woodland owner sharing similar values with us, we are happy to look at working with you to help you create your own Woodland Management Plan, according to Forestry Commission guidelines, and to help with liason with them and other authorities. We do not have formal qualifications in this area and we are not positioning ourselves as arboricultural consultants, but we have been there and to some extent, done it, and have no desire to charge the professional rates that such consultants demand. We found that such people have a definite role but they can be intimidating in terms of cost and in other respects. If you are interested in having some more friendly guidance to help you get started or to evolve your woodland management plans and activities, we are happy to discuss areas where we may be able to help on a nominal cost basis. We are aiming this guidance primarily to other woodland owners and sites in the Midlands area of the UK as that is where we are located and travelling costs could make more distant projects impractical. If you feel you have something in common with us in terms of your aspirations for your woodland and that we may be able to help then feel free to contact us.